A home serves as a symbol of family, security, and comfort. From the interior atmosphere to the exterior architecture, it’s an expression of the individuals residing within its confines. A home also symbolizes an investment. For select homeowners this investment exceeds the value insured under a standard policy. The finest built homes, require the finest protection. At Wilkinson Insurance Agency, we specialize in protecting the luxury assets of our clients through our high net worth homeowners insurance program. Our package delivers superior insurance solutions while catering to your unique needs. Pulling resources from an agency in operation for nearly six decades, we’ll pair you with an agent who is certified to adequately secure your high-value assets. Events resulting in major loss can be both unexpected and costly. 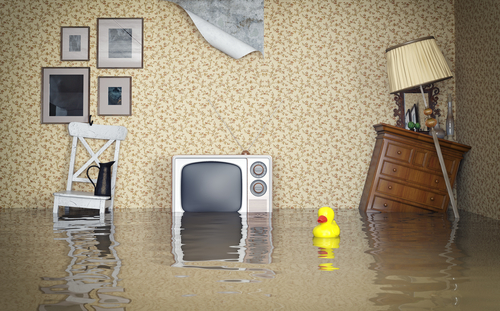 Whether natural disasters or man-made exposures, it’s critical to be proactive in determining the worth of assets before an exposure to loss occurs. Refocusing on proper protection is necessary as you accumulate wealth. High net worth homeowners insurance contains all the coverage provided under a traditional homeowners policy. The difference is within the additional security offered. If a large portion of your home is damaged, a high-value homeowners policy will allow your home to be rebuilt to its previous state or value. In regards to your personal belongings, a typical homeowners policy will cap content coverage for various categories of items, such as jewelry. This will not be sufficient if the value of your belongings exceeds the coverage of the policy. Some agents recommend purchasing separate endorsements for these high-value goods. However, with high net worth homeowners insurance, you can adequately secure all your goods without the need of endorsements. Our agents also have the flexibility to write a policy covering additional structures, such as vacation homes and pool houses. As long as your primary residence is in Tennessee, Kentucky, or Texas, we can provide nationwide coverage for additional locations. By combining coverage into one policy, you’ll save money and maintain full coverage. We begin offering this program for homeowners with residences valued at $500,000. There is no limit to the maximum coverage we can provide. Each high-value home we protect is distinct, as are the clients who own them. 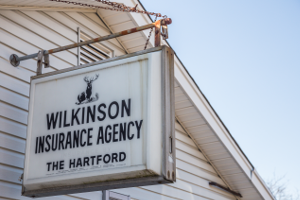 As an independent insurance agency, we have the opportunity to cater to the unique needs of each individual we serve. We’ll partner with you to determine the coverage necessary, as well as provide on-going support once the policy is established. Our credentials speak for themselves. We work with an assortment of the most trusted national carriers, and have agents specialized in personal client risk management and protecting the lifestyles of high net worth clients. One agent, June Taylor, is completing the Certified Personal Risk Manager (CPRM) program, which contains a combination of risk management and technical information for property and liability. This continued education will allow June to relay coverage differences to better serve our clients. Don’t go another minute without ensuring your wealth is completely protected against risk. More often than you would expect, individuals are paying for coverages which are not fully securing their high-value assets. To learn more about our program, speak with an agent today. If you’re ready to begin formulating a policy, request a quote. At Wilkinson Insurance Agency, we’re proud to provide high net worth home insurance in White House, Springfield, Goodletsville, Hendersonville, Gallatin, and Nashville, TN. We are licensed to serve Tennessee, Kentucky, and Texas.